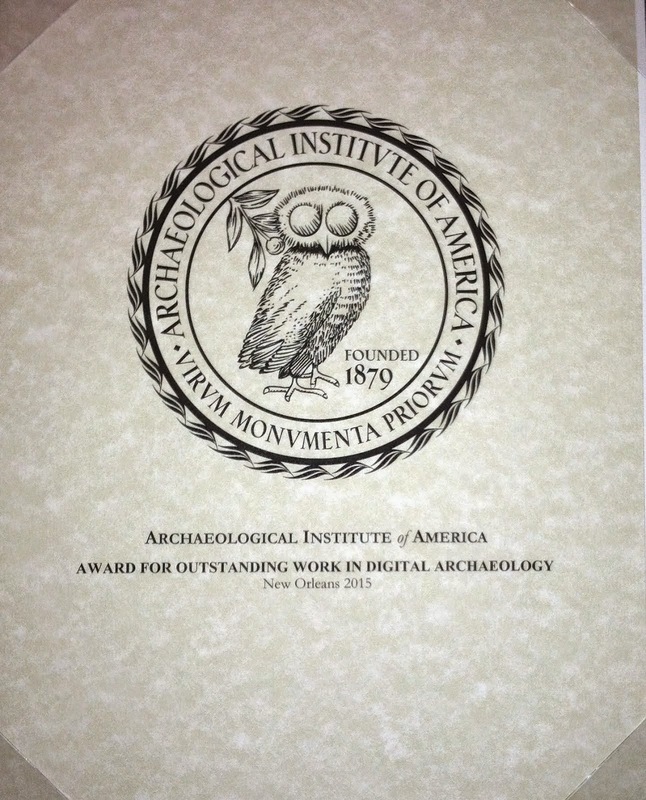 March 14, 2011: Thanks to a grant from the Google Digital Humanities program, Perseus is pleased to publish a TEI XML digital edition of Arrian and to complete the TEI XML digital edition of Lucian, initially published in December. Support for the Cybereditions project from the Mellon Foundation and Tufts University has allowed us to add as well TEI XML digital editions for Florus, Persius, Statius, Apuleius, Columella, Martial, Tibullus and the Scriptores Historiae Augustae. January 24, 2011: Thanks to a grant from the Google Digital Humanities program, the Perseus Digital Library is pleased to publish TEI XML digital editions for the Greek Poets Aratus Solensis, Colluthus, Nonnus of Panopolis, Callimachus, Lycophron, Oppian, Oppian of Apamea, Quintus Smyrnaeus and Tryphiodorus. 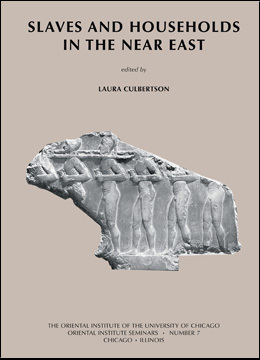 The seventh in the Oriental Institute Seminar Series, this volume contains papers that emerged from the seminar "Slaves and Households in the Near East" held at the Oriental Institute March 5-6, 2010. Despite widespread mention of enslaved people in historical records from the ancient, medieval, and early modern Near East, scholars struggle to understand what defines this phenomenon in both particular contexts and in general. The purpose of the seminar was to seek new understandings of slavery through scholarly exchange and exploration of new approaches. In particular, contributors examined slavery in the context of households, an approach that allows scholars to expose different dimensions of the phenomenon beyond basic economic questions. Households, whether domestic units, temples, or the building blocks of political organizations, can be used as the prism through which to view the dynamics among enslaved people and their immediate contacts. The volume contains micro-historical examinations of slavery in contexts spanning almost four millennia. The Forum brings together people interested in the intersection between classical studies, libraries, and scholarly communication, in order to promote timely exchange of information and ideas. Members also collaborate on projects of mutual concern. As an officially affiliated group of the American Philological Association, the Forum aims to support initiatives of the APA relating to libraries and scholarly communication. Other documents of the FCLSC are at its website. The archaeology of Minoan Crete can now look back on more than 100 years of intensive research in which this field of scientific enquiry has experienced many changes and developments in quite different academic traditions. The turn of the new century which coincided with the completion of 100 years of archaeological research on the island has triggered several retrospective and prospective looks at the objectives, methods, deficits and potentials of our discipline. We would like to take the occasion of the 625th anniversary of the University of Heidelberg as an opportunity for organising an international conference for early career researchers which shall provide an innovative platform for discussing the past, the present and above all the future of Minoan Archaeology. The main objective of this meeting will be to provide a common basis for future discussion by consenting to the precise meaning of some important theoretical terms and by identifying collective concerns in an attempt to approach new agendas for future research. Young researchers which will represent the main body of the conference participants shall be given the opportunity to present papers and engage themselves in an intellectual dialogue with some of the most distinguished senior colleagues of our discipline who will be invited to attend the conference as keynote speakers. Approaches focusing on comprehensive objectives, grounded on innovative and promising theoretical and methodological concepts shall be presented with the aim to reflect on the scopes of current research and set forth the trajectories for future Minoan Archaeology. In 1958, Sinologist Hope Wright published a work entitled An Alphabetical List of Geographical Names in Sung China. Originally published in Paris by the Centre de Recherches Historiques of the École Pratique des Hautes Études, and reprinted as a second-generation photocopy in 1992 by the Journal of Song-Yuan Studies, the Alphabetical List is now out of print. Wright’s compilation is the most comprehensive print source for Song geography in any language. The Digital Gazetteer of Song Dynasty China (DGSD) is a MySQL database derived primarily from the Alphabetical List. The Alphabetical List is an index to every jurisdiction in the Song (960-1276) spatial administrative hierarchy named in one or more of the following three Song texts: the Song History (宋史Song shi) Geography Monograph, the 980 Records of the Universal Realm in the Taiping Era (太平寰宇紀Taiping huanyu ji), and the 1085 Treatise on the Nine Territories in the Yuanfeng Reign (元豐九域志Yuanfeng jiuyu zhi). The Alphabetical List consists of 3,828 headwords, including all Rank One circuits (路lu), Rank Two prefectures (府 fu, 州 zhou, 軍 jun, and 監 jian), Rank Three counties (縣 xian) , and Rank Four towns (鎮 zhen and cheng), markets (場chang) and stockades (寨zhai) that existed at any time during the Song dynasty, along with centers of state industry (mines, foundries, and commodity markets) located in prefectures, and information about the number of cantons (鄉 xiang) in each county, the resident (住zhu) and guest (客 ke) population of each prefecture in 980 and 1085, the civil rank of each prefecture and county, the designation of counties that served as prefecture seats, the military-ceremonial designation, if any, of each prefecture, the latitude-longitude coordinate of each prefecture, and the distance of each county from the seat of its parent prefecture. We initially developed the DGSD to support Ruth Mostern’s book Dividing the Realm in Order to Govern: The Spatial Organization of the Song State (Harvard Asia Center, March 2011). The book demonstrates how the Song court repeatedly reorganized the structure of counties and prefectures in order to distribute civil and military officials around the empire in accordance with changing priorities. Therefore, the DGSD is designed to identify the events that transformed the political landscape, and to make the histories of often fluid places as accessible as the names of the jurisdictions. The development of the DGSD was supported in part by the Society for Song-Yuan Studies, the UC Merced Graduate and Research Council, and the UC Merced Center for Research in the Humanities and Arts. The participating institutions have joined together to form CHGIS in order to create a new digital product for free distribution to scholars without restriction. The CHGIS management committee is responsible for the copyright of the published datasets, while each contributing institution retains the rights to further develop their own research materials as they see fit. The result is a no-cost GIS platform for use in teaching, research, and publications. CHGIS users may obtain the data either by download from designated CHGIS websites, or on CD-ROM. Both the website and CD-ROM provide an account of the project and its development, the current CHGIS datasets, licensing information, and examples of how the data may be used. There have been three versions of CHGIS data released (2002 - 2005), each successive version replacing the previous one. Further versions will be released until the base coverage of the following provinces has been completed--Anhui, Fujian, Gansu, Guangdong, Guangxi, Hainan, Hebei, Henan, Heilongjiang, Hubei, Hunan, Jiangsu, Jiangxi, Jilin, Liaoning, Ningxia, Shandong, Shaanxi, Shanxi, Sichuan, Yunnan, Zhejiang. The following provinces lie outside the scope of the current project--Neimeng, Qinghai, Xinjiang, and Xizang. CHGIS Version 1.0, (published in Apr 2002), contained datasets for the year 1820 (Qing Dynasty). Following Version 1.0, the project has been working backwards to create a continuous time series of records that track changes in placename, administrative status, and geography, as well as forwards to create a dataset of 1911 counties. It should be noted that the data for the year 1820 CE is time slice valid for a single year, and is being slowly superceded and replaced by the time series data in subsequent versions. The Version 1.0 CD-ROM was published as a demonstration of the project's scope and objectives, and the 1820 data contained on that CD-ROM should be considered as a place-holder, rather than the fully documented CHGIS time series data released later versions. It should also be noted that Version 3, (published in Apr 2005) replaces Version 2 (published in Sep 2003). The main objective of the CHGIS project is to create a flexible tool, in the form of a documented database of places and adminstrative units, which can be used to investigate any sort of geographically specific data related to China. The unique ID numbers for each of the CHGIS temporal instance records can be used as geocodes in relational databases, or to mark up texts, enabling users to import their own datasets into the CHGIS platform. Users will be able to associate their own data with CHGIS records, and then use the CHGIS database to sort, query, and display their data for different historical periods and at different levels of aggregation. In response of the demands of interdisciplinary research applications, this system aims to construct an integrated GIS-based application infrastructure within the spatial extent of China, in the timeframe of Chinese history, and with the contents of Chinese civilization. Although target users are primarily scholars, academic experts, and school teachers, it is also our goal to provide general spatial- and temporal-based applications This, we hope, will establish a feedback mechanism of continuously collecting research and application results to fertilize the contents of this system and elaborate the value of information integration. This system consists of three major components: basic geospatial materials, WebGIS integrated application environment, and thematic information. The fundamental base maps are based on Dr. Tan's "The Historical Atlas of China". "The Historical Atlas of China" provides users with Chinese historical features, covering Chinese history over the past 2000 years, from the ancient time to Qing dynasty. Furthermore, various historical atlas and remote sensing imagery are persistently geo-referenced and overlaid into the system to broaden the spatial and temporal scope. n.b. volumes 136 (2004) - current, are available online, by subscription, from Maney.